11 Apr 2019 / 23:15 H.
MALAYSIAN teenager and self-described ‘Human Calculator’ Yaashwin Sarawanan won second place in Season 3 of Asia’s Got Talent, in the gala results show aired live tonight from Singapore. The 15-year-old had amazed the judges and viewers with his skills at solving rapid-fire math questions during the past few weeks of the competition. 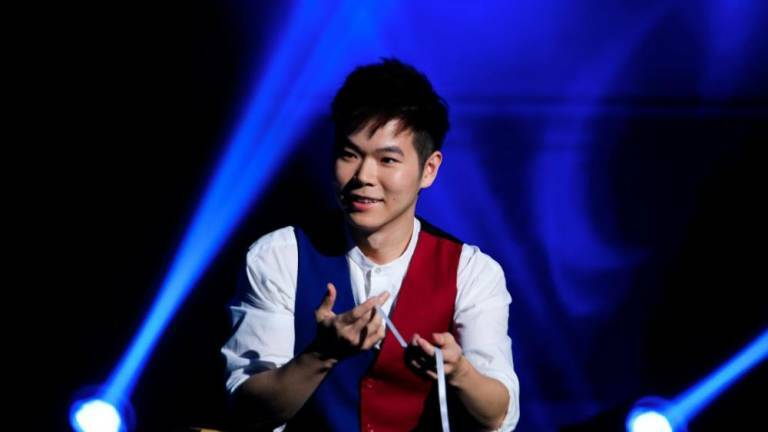 The top prize of US$100,000 went to Taiwanese magician Eric Chien, who also won the 2018 International Federation of Magic Societies (FISM) Magic World Championships last year with his close-up magic skills. Aside from Yaashwin, this year also saw another Malaysian act in the finals. All-girl vocal group NAMA had wowed audiences in the audition stages, and had been the Judges’ Pick for the finals. Other acts which had made it to the finals were Junior Good Vibes and Shadow Ace from the Philippines, Maniac Family and Yang Shih Hao from Taiwan, and Siti Saniyah from Indonesia.